Most seating dies will also crimp in the same step, but I prefer to treat seating and crimping as separate actions. Last time we covered the powder charging step and briefly touched on the whole concept of pressure curves. While reloading is a safe pastime when proper care is taken, the care-taking part is a really big deal. The last steps, seating, crimping and inspecting cartridges, are equally important when it comes to safety. Seating the bullet simply means pressing it into the cartridge case to the proper depth. Precise seating depth is important for a number of reasons. Obviously, the cartridge has to fit in the magazine and/or cylinder and chamber. Far more importantly, the seating depth has a big impact on peak pressure when the cartridge is ignited. It’s important to pay close attention to seating depth because incorrect depths can have dramatic impact on pressure. The Cartridge Overall Length (C.O.A.L. or C.O.L.) is specified for each type and weight bullet combination as a way to control the interior volume of the cartridge case. Any given published load recipe is carefully developed making an assumption about the volume in the cartridge case. If a bullet is pushed farther into the case, there is less interior volume. If the same amount of powder ignites in a smaller volume, pressure will be have to be higher. Likewise, if a bullet is not pressed in deep enough, there will be more available volume in the case, and pressure will be lower. Most seating dies actually perform two functions: seating and crimping. If you adjust your die and press exactly right, then you can do both steps at once with good reliability. I prefer treating these as separate steps – especially for the new reloader. Here’s why. Seating the bullet involves pressing it into the cartridge case. When you’re crimping at the same time, you’re applying inward pressure while also applying downward pressure. So you’ve actually got opposing forces that have to be perfectly timed for a correct result. If small details, like cartridge case length are out of whack just a bit, you can actually create bulges in the case which may prevent the cartridge from chambering properly. Want to start reloading? 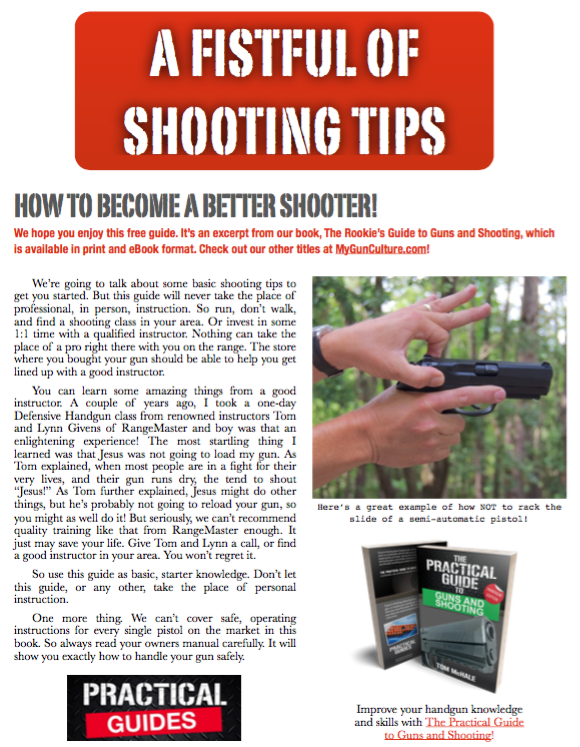 Then check out our newest book – The Insanely Practical Guide to Reloading Ammunition – it will help you start reloading in no time! Learn how to reload ammunition the easy way with the Insanely Practical Guide To Reloading Ammunition!